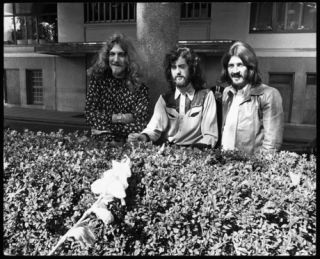 Led Zeppelin IV has jumped back into the US Top 200 for the first time in almost a quarter of a century. The album, which turned 40 earlier this month, crept to number 166, it's first time in the top 200 since 1987. Since its release on 8 November 1971 the album has sold more than 23 million copies. Of course, for more on Led Zeppelin IV you can pick up the latest issue of Rhythm which includes a huge cover feature on the album and how John Bonham got that incredible drum sound.